Looks like Samsung’s looking to shake things up on every level with its soon to come Galaxy S6 flagship. The Samsung Galaxy S6 is now expected to launch at the Mobile World Congress, due to be held in Barcelona this March. Until so far, the rumor mill suggest that the Samsung Galaxy S6 will be coming with two variants, one of which will be a basic one and the other a curved edge variant, similar to the Galaxy Note 4. Well, you can add another specification to the list of things expected on the Samsung Galaxy S6, as we’ve received more word today, this time from folks over at SamMobile. According to today’s report, Samsung is apparently looking to replace the swipe based unlocking mechanism found on the Samsung Galaxy S5 with a Touch based one, similar to the ones found on Apple’s Meizu’s and Huawei’s devices. A Touch based unlocking mechanism on the Samsung Galaxy S6 will undoubtedly be the right move from the manufacturer, as swiping to unlock your device proves to be rather complicated and cumbersome. By the looks of things so far, the Samsung Galaxy S6 is going to be one impressive flagship, if the rumor mill is to be believed. The device is expected to come with the Snapdragon 810 for the international version and will also feature a dual-curved screen on of its variants. This, combined with a metal frame and top camera specifications will make the device a tough act to follow. Add Touch unlocking to the top, coupled with a significant design overhaul (which we can only hope for) and Samsung will have a winner on its hands that will help turn the Korean manufacturer’s fortunes around for 2015. 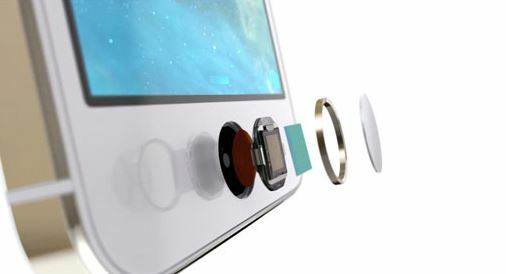 Like touch based unlocking on the Samsung Galaxy S6? Let us know what you think in the comments section.